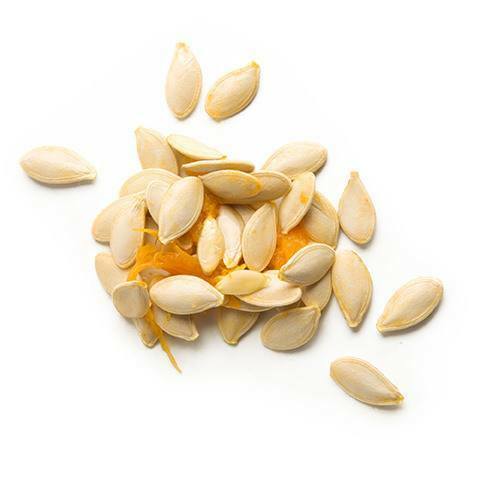 Pumpkin Seed Oil is great for improving hair quality. In addition to shielding the hair protein, it also hydrates the follicles to ensure shiny, lustrous strands. It’s rich in Vitamins A, K and Biotin, which are vital for your scalp’s health and hair’s strength. Research has found PSO can inhibit 5-alpha reductase enzyme, which has been shown to slow hair growth. Pumpkin seeds are loaded with all the nutrients that your hair could ever want, including protein, omega-6 fatty acids, zinc and iron.